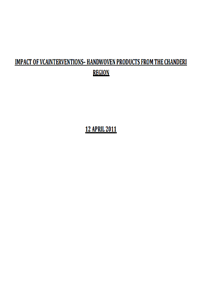 An overview report accompanying a series of seven case studies to provide the reproductive health (RH) supplies community with a deeper understanding of the current landscape and future potential of obtaining RH supplies through e-commerce. Each case study focuses on either a specific country (India, Kenya, Mexico, and the United States) or a new and underused RH technology (emergency contraception, female condoms, and the Standard Days Method®). Kaarak created the India case study. 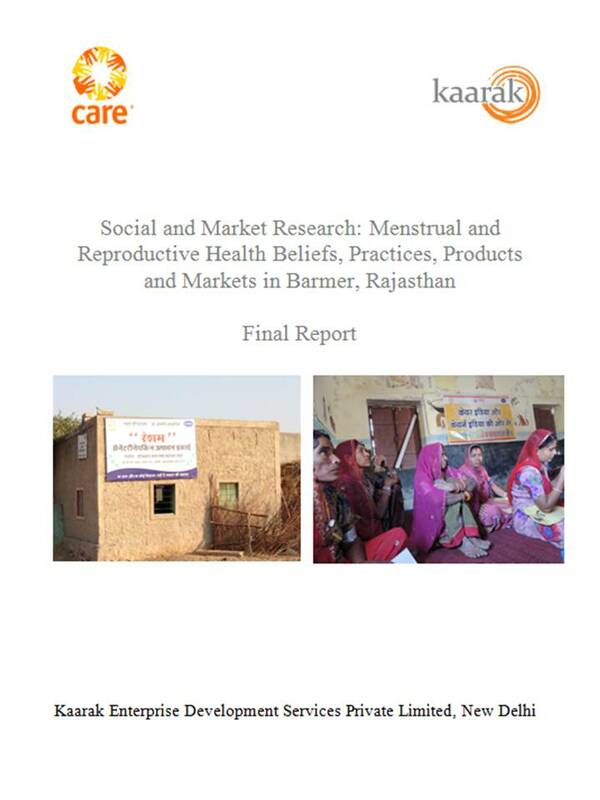 A first of its kind study in Barmer, Rajasthan that revealed key findings about menstruation related awareness, communication, norms, infrastructure as well as details and prospects for local MH&RH markets. In this research note, Kaarak's research team led by Dustin Robertson, assesses the existing relationship and best practices in the area of CSR and Health. 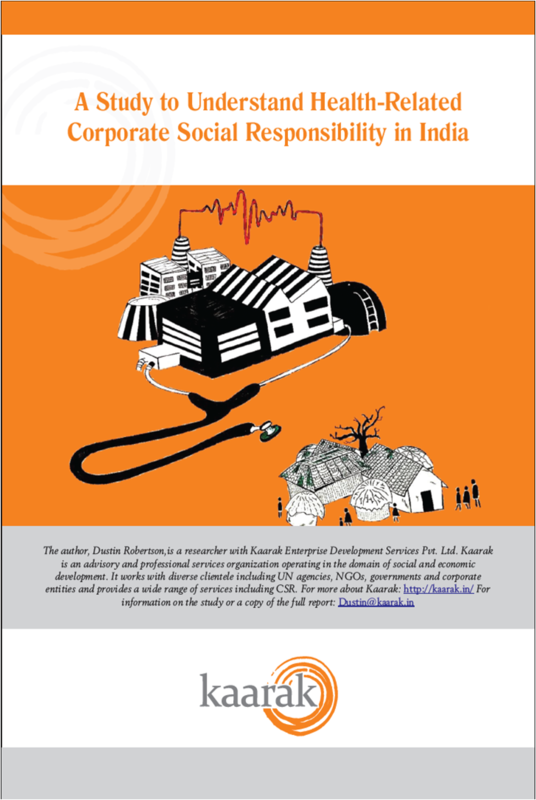 The research puts special focus on how the Companies Act 2013 will influence CSR portfolios and operations in India. 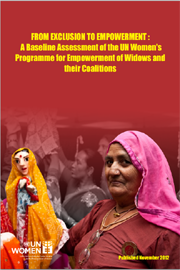 Identifies and documented Good Practices and Lessons Learnt under the Convergence Project. In total the document identified and captured eleven Good practices and one Lesson Learned. Kaarak conducted a nationwide survey of targeted MSMEs to evaluate the Ministry of MSME's scheme for Marketing Assistance. 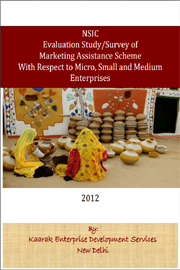 The evaluation study gave inputs to NSIC and MoMSME to improve the Marketing Assistance Scheme. Study conducted on childhood vulnerability and poverty focuses on understanding different factors at the household level responsible for putting children at risk and depriving them of basic rights. 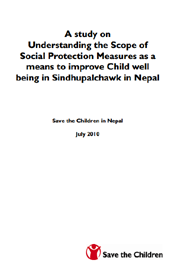 This research studies the scope of existing social protection programmes and its implications on children in Sindhupalchowk in Nepal. 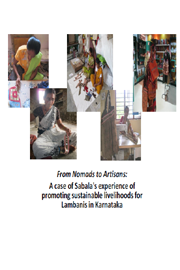 Study conducted to evaluate the impact of livelihood interventions that sought to develop the value chain for embellished handmade fabric from the Chanderi region in India. This article, which first appeared in Mainstream Weekly, presents some of the key factors and processes leading to high levels of exploitation in India. Particular insights and possible solutions are provided on India's massive brick kiln industry. Yang Bong is an important Minor Forest Produce (MFP) or Non-Timber Forest Produce (NTFP) in Lao PDR that provides livelihood support to many poor families living in forests and rural areas. 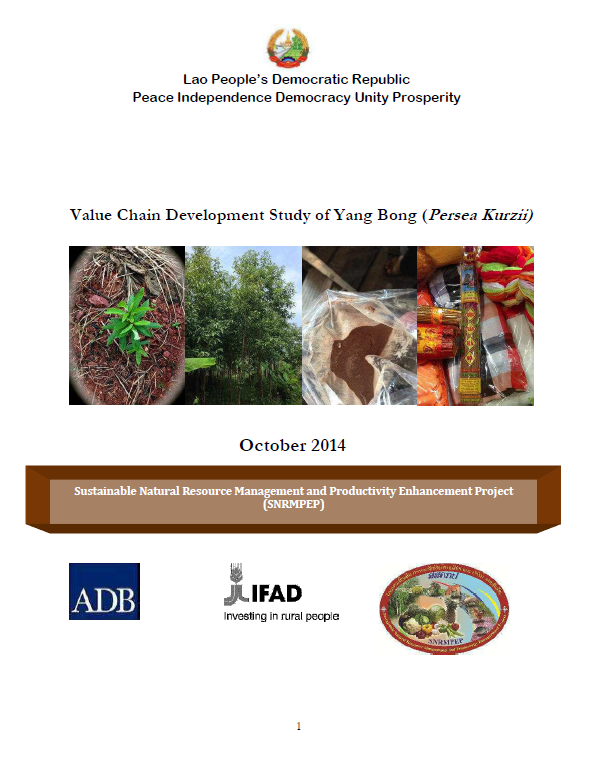 This study presents a clear, concise analysis of the sector in order to make a set of practical recommendations to government policy makers and industry players on development of joint strategies to improve the performance and profitability of the smallholder Bong (Persea kurzii) sector at all points on the value chain. International evaluation to assess the Decent Work strategies and activities in the countries of Algeria, Egypt, Eritrea, Libya, Morocco, South Sudan, Sudan and Tunisia. Evaluation served to determine whether ILO strategies and actions effectively supported national constituents’ priorities and efforts to fill Decent Work gaps. 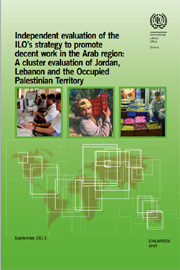 The report present findings and recommendations of the independent evaluation of ILO’s programmes in Lebanon, Jordan and the occupied Palestinian territory (oPt) from 2008-2012.